CEVA endeavors to update the contents of the Site and to deliver correct information to the internet user. Nonetheless, CEVA shall not be held responsible for any possible errors and/or omissions. CEVA reserves all rights to modify, terminate, suspend or interrupt any or all of the Site’s services or contents without prior warning. CEVA endeavors to maintain accessibility to the Site 24 hours a day, 7 days a week, but without incurring any obligation to effectively deliver as such. Trademarks featured on the Site are either the property of CEVA and/or its mother company CEVA SANTE ANIMALE S.A., or of brands belonging to third parties who have authorized use of such trademarks by CEVA and/or its mother company. Access to the Site grants no other rights other than viewing the Site’s contents. All elements of the Site are the exclusive property of CEVA and/or its mother company, being the only body authorized to exercise the relevant intellectual property and personality rights. The internet user does not acquire any license nor any other right than that of consulting the Site. The Site and its constituent components are protected by French law and international legal conventions relative to respecting author’s rights, copyrights, designs and trademarks, and patents. The internet user is hereby informed that a cookie may be automatically installed in the user’s browser upon visiting the Site. The cookie is a block of data that does not enable identification of the internet user but which serves to record information relative to the user’s navigation within the site (the pages that have been visited, the date and time of visiting, etc.). It is forbidden: to use the Site or communication services to forward chain mail, “junk mail”, “spam” or any repetitive or unsolicited mail (commercial or otherwise); to harvest or collect, in any manner whatsoever, information relating to third parties, notably email addresses, without the agreement of the third parties concerned; to create or exploit false identities, to falsify an email address or header, or attempt to mislead third parties in any manner whatsoever as to the identity of the message sender or as to the origin of the message; to forward any inappropriate content such as is defined and referenced below under “Inappropriate Content”; to forward any element containing a virus or other component that is harmful or detrimental to the Site or to third parties or in contravention of the law; to attempt to access the offered services in an unauthorised manner of other accounts, information systems or networks connects to the Site services through the usage of various passwords or by any other means: or to interfere with the use and enjoyment of the service by any other internet user or with the use and enjoyment of similar services by the means of another entity. 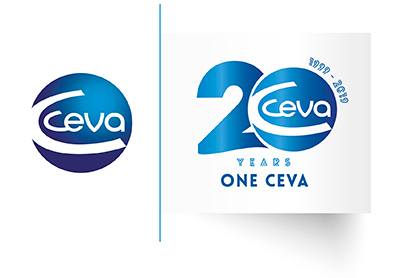 CEVA does not provide the internet user with any guarantee of any sort, express or implicit, as to the quality of the Site’s services or their commercial quality, consistency, or to research results that meet the internet user’s expectations, and refuses all responsibilities as regards possible disputes, actions or recourse by third parties who might wish to lay claim to their rights, notably private rights, over any content not created by CEVA. The internet user agrees to indemnify CEVA and guarantees CEVA against any and all actions for responsibility, recourse, loss, cost, loss of income, loss of data, and any other direct or indirect damages arising from the violation on the internet user’s part of any of the conditions of this current legal notice.